Bad news for non-paying Flickr users: the formerly Yahoo-owned photo sharing site will be reducing its free cloud storage limit from a whopping 1TB to just 1,000 pictures, with plans to start deleting excess images early next year. 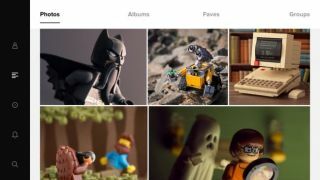 Announced via blog post by Andrew Stadlen, VP of Product at Flickr, users on the site's Free tier will permanently lose access to any stored photos exceeding the new limit from February 2019. According to Stadlen, the decision was partly made due to the small number of free users who actually exceeded the new limit. "We looked at our members and found a clear line between Free and Pro accounts: the overwhelming majority of Pros have more than 1,000 photos on Flickr, and more than 97% of Free members have fewer than 1,000." Before 2013, Flickr only offered 200 photos on its Free tier, however, Stadlen admits that the significant leap in free storage space brought about "strongly negative consequences" for the community. “Yahoo lost sight of what makes Flickr truly special and responded to a changing landscape in online photo sharing by giving every Flickr user a staggering terabyte of free storage," said Stadlen. He continued, “The free terabyte largely attracted members who were drawn by the free storage, not by engagement with other lovers of photography." Stadlen also believes that the decision will prove beneficial to users in the long run. Speaking candidly, the Flickr vice president said that "Giving away vast amounts of storage creates data that can be sold to advertisers, with the inevitable result being that advertisers’ interests are prioritized over yours." He continued, "Reducing the free storage offering ensures that we run Flickr on subscriptions, which guarantees that our focus is always on how to make your experience better." If you are one of the 3% of Flickr Free users with a collection exceeding 1,000 images, you should probably back up your photos as soon as possible. Alternatively, you could also consider upgrading to Flickr Pro account, which offers unlimited storage, ad-free browsing, advanced stats for your photos and a range of other perks and discounts.